The nature is the beauty of earth. The domain of almighty prevails in nature. The mountains, rivers, seas, glaziers, forest, birds, animals – every living and non-living things is colorfully created by god. We enjoy the pleasure of god’s creativity in nature and the variant colors inspire us. In ancient days, the sages preferred forest for doing penance because the colors of blooming flowers, green trees, streams, birds attracted their mind and pacified their inner feelings resulting in effective and peaceful penance. Even now we feel happy or get irritated on seeing some colors. As such it is evident that colors influence our mind and feelings and thereby our life style and character. 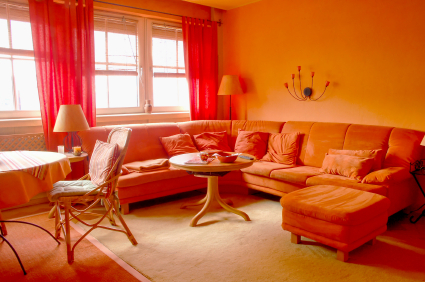 The colors you use to decorate your home can have a profound effect on the emotional well-being of you and your family. It’s a tool that can be leveraged to affect emotions and behavior. Check out the best shades that makes your living space wonderful. This golden Orange color may appear welcoming. It is a combination of red and yellow and orange is always stimulating. It focuses our minds on issues of physical comfort with warmth and sensuality. It is a ‘fun’ color. Red raises a room’s energy level. The most intense color, it pumps the adrenaline like no other hue. It is a good choice when you want to stir up excitement, it is lively and creates a strong first impression. 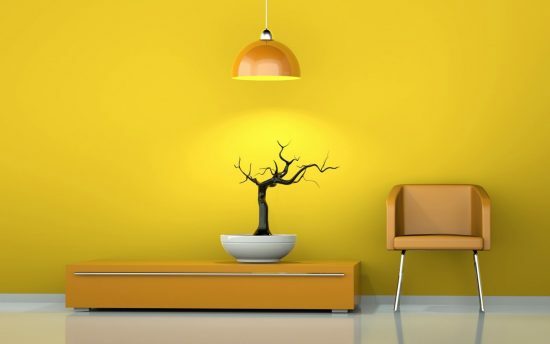 This luminous shade may be a great way to make any space in your home bright and welcoming, Soft yellows can be associated with sunshine and happiness. The right yellow will lift our spirits and our self-esteem; it is the color of confidence and optimism. 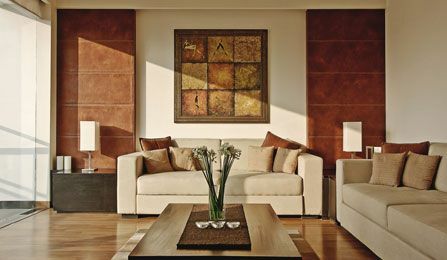 Earth colors goes well and attractive with a combination of lighter shades. It makes the atmosphere more pleasant and attached to nature. Kitchen should always be your lady love favorite color. It is their own world where nobody interrupts. Majority of the shades will resemble the color from their family kitchen which will always bring loads of their fond memories. Darker shades are mostly preferred to get rid of stains in kitchens. 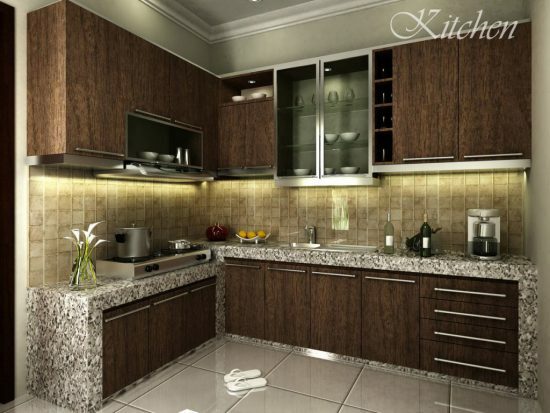 Wooden cupboards will give a clean look to the room making. Red is the best for dinning. 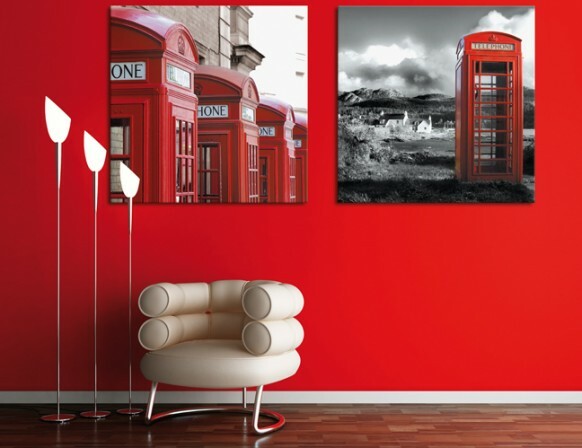 Red is known to raise a room’s energy level. Red has been known to stimulate your appetite! 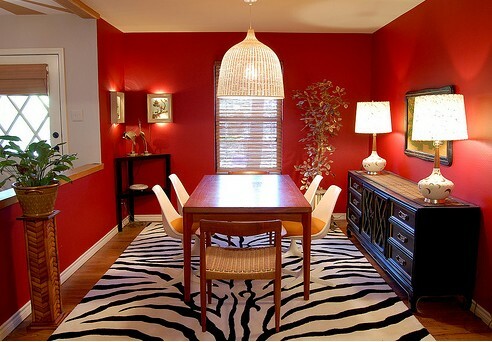 “If your dining room is red, people may think you are a better cook,” red color decor can be great for a formal dining room. The bedroom is the best room to relax and reconnect with your partner. It should always be pleasant and should create a warm soothing feel. Cool colors — blues, greens and lavenders — can be great choices here, because they are thought to have a calming effect. 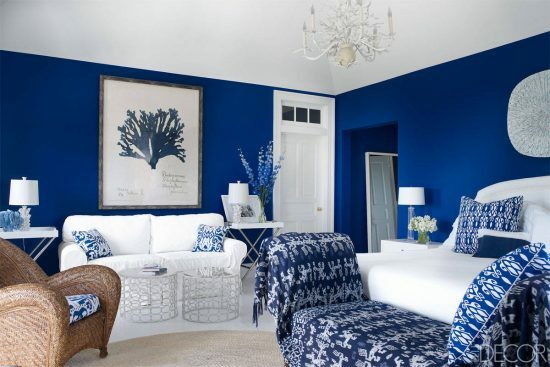 This color is essentially soothing, blue will calm the mind and aid concentration, it is the universal favorite color of all. Try blue to feel the sky and clouds near you. 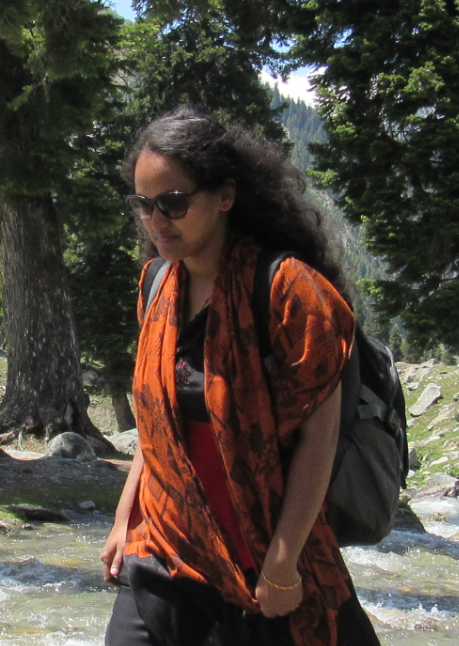 We feel refreshed when surrounded by green, it is near to nature which brings harmony and peace. It is eye-catching and completely ends in rest. Lavender is a sign of luxury, Gives a royal look to your most loved room. It encourages meditation. 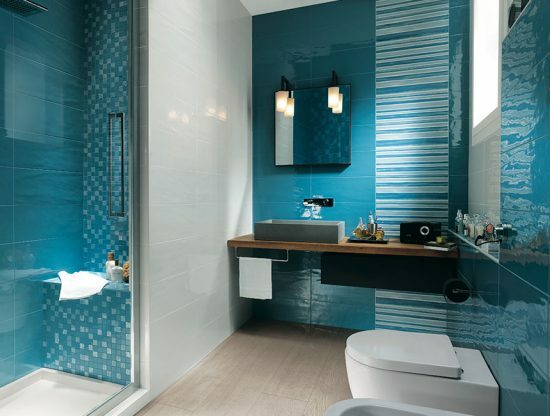 We prefer cleanliness in bathroom, it is not just a place to wash up but a private retreat for rejuvenation. White color is common and nowadays people love modern bathrooms with modular tiles. 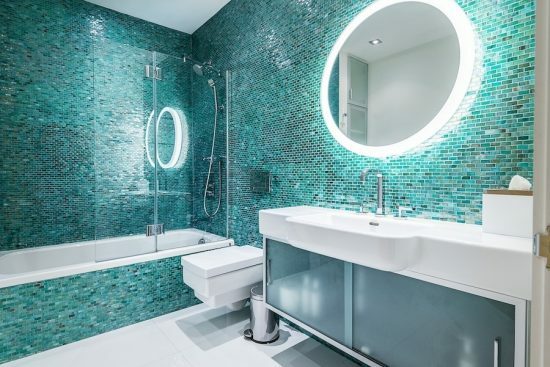 The best choice for these crowd would be blues, greens and turquoises which gives a sense of being fresh and clean. Blue is always beautiful with full energy. Brings the calm feel of mid sea and refresh the mind and soul. Just a mix of blue and green. Adds additional beauty and enriches the atmosphere. Pleasure is always on when u reach for the color. In today’s fast world, stress occupies a major part in our life. Spending lavishly for a spa weekend, a massage or retreat to relieve stress is hardly waste of time and money. Home is the ultimate destination for everyone to feel relaxed and cherish their fond memories. People who build good relationships at home are said to be more effective in their professional life. Thus make use of these simple ideas to create a peaceful and healthy atmosphere at home, make it the best place to stick too. WISHING YOU A SWEET AND HEALTHY HOME.